WIN Contagious and Deathly Contagious!!! Here’s your chance to see why we LOVE these books!!! 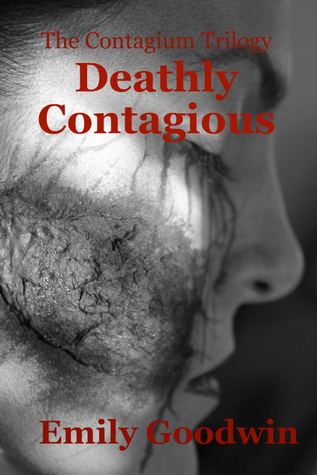 We will be giving away an e-book copy of each of these books on Friday morning in celebration of the release of Deathly Contagious! I will gift both copies to you on whatever e-reader you have as soon as the 2nd book becomes available or as soon as I wake up in the morning. Whichever comes first. If amazon/ B&N has it up at 12:01 then you will have them by 12:05. If they are not up by 1:30 am then they will be gifted to you when I wake up. How to enter. Just FOLLOW our blog and leave a comment on this post with your name and email address. (Yes. Emily Goodwin is aware that we are using her book to lure in more followers. She says it’s ok). How to the winner will be chosed. Randomly. I’m going to use this awesome piece of technology called a pen and paper. Keep track of the comments and follows. Thursday night I will cut said names into strips of paper. I will then put them in my daughters Dora the Explorer bucket and have my MOM choose on slip of paper. (Yes I live with my mommy. She just got done battling cancer). LOL I know so scientific. But I wanted you know how random the choosing will be! Thanks for reading the blog. We really are greatful. At this point since you two are the only ones entering I might just give you both a copy. Logan. I’m getting ready to read and review the Intruders. I’ll let you know via goodreads when I have the review up. I am woefully behind on my reading list. Ahh!!!! Oh my. I would DIE if I couldn’t find my kindle!!! Very nice blog. I like the way you have set it up. Good luck with it and have fun! Thanks to everyone who entered and congrats to our winner. Tamara!!! Congrats, Tamara! I find it ironic how you won a contest that I entered, since I always win yours. Haha. 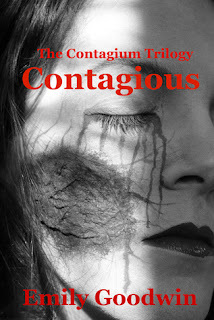 Anyways, I’m off to buy Contagious, because these books sound awesome! Thanks for telling us about them, Lori! You’re welcome!! Yeah I’ve got two more people reading Contagious!! !